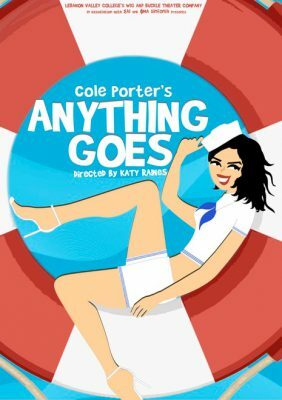 With its splendid score—the creation of one of the world's most sophisticated composer/lyricists, Cole Porter—Anything Goes remains one of the most popular musicals of all time. Endlessly performed around the world by all levels of professional and amateur organizations, this seagoing tale of shipboard romance and mistaken identity is revered as the archetypical 1930s musical comedy. Unlike the later "book" musicals (so called because they borrowed their very strong plots and characters from other literary sources) which appeared in the wake of Oklahoma! after its triumphant opening in 1943, 1930s musicals followed a simpler formula—hire star performers, give them memorable song to sing, string the songs together with a flimsy( and often unlikely) plot, and fill in the intervals with dancing and comic scenes. In the depths of the Great Depression, Anything Goes was exactly the kind of escapist fare that those who could still afford to buy Broadway tickets were yearning for, yet this legendary show had such a disorganized and stormy development that it came very close to being a first-class disaster. According to Broadway historian Stanley Green in his authoritative sourcebook Broadway Musicals: Show by Show, the idea for the piece came to its producer, Vinton Freedley, while he was cruising off the coast of Panama on a fishing boat, hiding from his creditors following the collapse of his last attempt at a Broadway musical. In a desperate gamble to recoup his reputation and finances, Freedley envisioned his "dream project," a vehicle for his favorite stars, William Gaxton and Ethel Merman, which would feature the songs of his favorite songsmith, Cole Porter, and a set of confused comic romances which would take place on an ocean liner about to face a shipwreck. Incredibly, in the extremely tight market of post-Crash theatrical production in NYC, Freedley found both investors and stars willing to take a chance on this long-shot concept, and he hired renowned authors Guy Bolton and P.G. Wodehouse to write the plot. The results were a disastrous mess—Porter allegedly wrote most of the score while partying at a friend's stately Newport, RI mansion, and Bolton and Wodehouse rewrote the plot so often that the show's title changed from Crazy Week to Bon Voyage to Hard to Get before the librettists decamped to London. The show was just weeks from opening when a real-life ocean liner, the notorious S.S. Morro Castle, caught fire off New Jersey, killing 137 passengers and crew. Faced with the prospect of his show going down like the Titanic, Freedley had his director, Howard Lindsay do a lightning rewrite with press agent Russel Crouse which tore out the shipwreck ending and tried to splice the remaining elements together in an effort to keep the show afloat. Legend has it that the show's signature number was born when, bereft of a first act finale, someone on the artistic team wailed "what do we do for a finish?" and someone replied "Hell, anything goes at this point!" Porter responded with one of his greatest songs, and the show, renamed after the number in a last desperate attempt to make it marketable, opened on November 21, 1934. Much to the surprise of everyone involved, the show was a hit, running for 420 performances in the cash-starved Depression era, making it the fourth most successful musical of a very difficult decade for Broadway box offices. Since that time, Anything Goes has been revived five times in New York alone, at least three times in London, been made into a movie—twice—and become a staple of American high school and university drama programs and community theaters everywhere. Audiences can't get its tunes out of their heads; its lightweight plot inexplicably has much to say about Americans' obsession with celebrities and the notoriety that attracts us when they behave badly—in a post-recession popular culture dominated by reality TV and media gossip about the bad and the beautiful, Anything Goes is not a bad mirror to hold up to our current preoccupations. Student director Katy Raines, choreographer Kathy Furr, and the talented cast, crew and staff of Wig & Buckle have had to make order out the chaos of the creative process which theatrical production can be, bringing the many skills at critical thinking, problem solving, and instant improvisation which they've learned from all the faculty here at LVC to a complex process that can rival the craziness experienced by this show's originators. 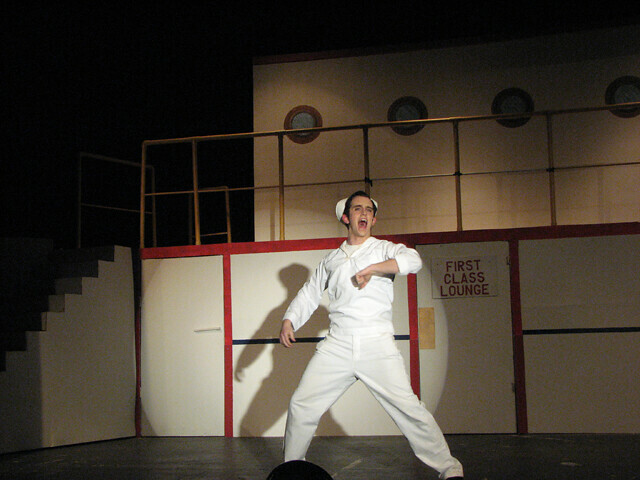 Veterans and newcomers alike, the participants in tonight's performance bring discipline, enthusiasm, and dedication to their work—it is an honor to mentor them, and to maintain the 75-year tradition of student theater at LVC. Enjoy the show!